'Ikki' is an action game that was released from SUNSOFT in 1985. Players control 'Gombe' of farmers, to go to raid the evil magistrate and defeat confronting enemies. In this work, players can enjoy two player co-op. Player 2 will operate 'Tago'. Arcade Archives: Ikki was released on Switch 329d ago in the US and the UK. 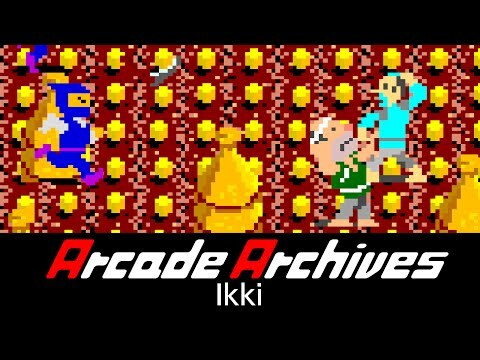 Notify me when Arcade Archives: Ikki is available.